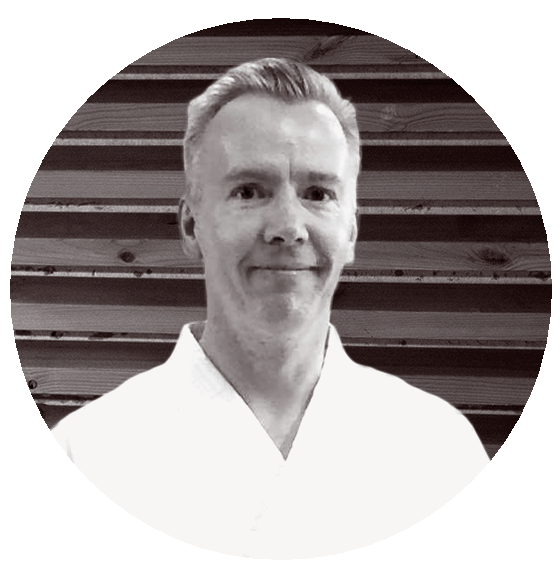 Miranda Saarentaus is an aikido instructor ranking 6. dan from Helsinki, Finland. 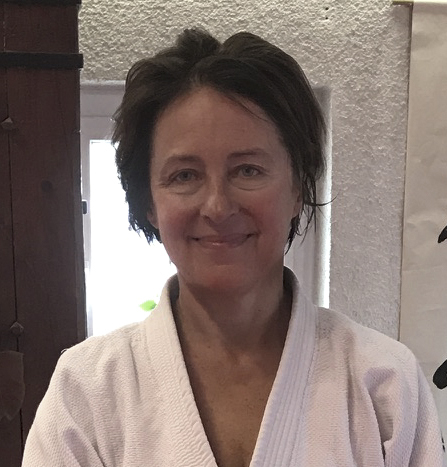 She started practising aikido in 1972 as a student of Ichimura Sensei, a teacher sent from Hombu Dojo in Japan in the 1970s to teach aikido in Sweden and Finland. In 1987 Ichimura Sensei left back to Japan, and in 1990, Miranda found her present teacher, Endo Shihan, 8th dan, who also was one of Hombu Dojo’s teachers in Japan. In 2015, she was announced as Endo Shihan’s Deshi. At present, Miranda is the dojocho at ‘Akari’ (Japanese for ‘light’, ‘illumination’; see www.akari.fi) dojo. She was one of the three founding members of Akari in 1998 and the dojo has currently close to a hundred members, including both juniors and adults. Miranda gives around eight yearly seminars in Finland and abroad. She actively attends Endo Shihan’s seminars around the world and arranges his yearly seminars in Finland. Her aikido style emphasizes the flow of movement: not going against the force, always trying to find a way to guide your partner without coercion, and drawing strength from contact and communication. Not surprisingly, jiywasa (free-flowing technique), is one of her trademark exercises in class.